Some parents refuse to have their children vaccinated because of the fear that the vaccinations may cause autism and other problems. That fear was bolstered in Britain with the publication of a 1998 paper by Andrew Wakefield in the prestigious medical journal The Lancet. That paper claimed a link between the triple vaccine combination MMR (measles-mumps-rubella) and inflammatory bowel disease and autism. The paper was retracted in 2010 after a long investigation by reporter Brian Deer for the London Sunday Times. Wakefield was removed from the U.K. medical registry in 2010, after the longest-ever professional misconduct hearing by the UK’s General Medical Council. You can read a summary of the seven-year investigation here: http://briandeer.com/mmr/lancet-summary.htm It is a long article which I will further summarize. The bottom line is that the original paper, which precipitated so much concern, was based on fraud. No other researchers have been able to replicate the results of Wakefield’s original paper. Read the entire summary of investigation linked above. Posted in General Science, Health and tagged autism, measles, mumps, rubella, vaccines on February 27, 2015 by wryheat2. The platinum group metals are exceptionally rare elements vital to the healthcare, energy and transportation sectors. The six metals’ unique characteristics make them essential in or necessary to production of 20% of goods manufactured today. Platinum group metals make major contributions to our health, playing a significant role in fighting cancer as active ingredients in chemotherapy drugs. They are also used in implants for radiation therapy. Because of their resistance to corrosion, platinum group metals are frequently found in pacemakers, implantable defibrillators, catheters, stents and neuromodulation devices. Platinum group metals are key components of automobile pollution control devices and fuel cell technology that powers our electronic devices, cars and homes. The info-graphic below from the National Mining Association shows the many uses of platinum group metals. This info-graphic could be a resource for teachers. More info-graphics are linked to below. Posted in Geology, Health and tagged iridium, osmium, palladium, platinum, rhodium, ruthenium on February 5, 2015 by wryheat2. Many studies suggest that eating nuts have a beneficial effect on health. The study in question was a statistical study of 170,000 health-care professionals that were followed for many years. The results of the study are consistent with the conclusion that eating nuts every day prolongs life. However, the results were also consistent with the conclusion that healthier people tend to eat more nuts than less healthy people, so the association is a coincidence. Correlation does not prove causation. Hence the study can’t really determine cause and effect. You can read the complete article in the New England Journal of Medicine here and form your own conclusion. “Dietary intake was measured with the use of validated food-frequency questionnaires administered every 2 to 4 years.” This assumes the respondents correctly remembered, and honestly reported nut consumption. The study excluded people with history of cancer, heart disease, or stroke. It also excluded smokers, the extremely thin, the extremely fat, and diabetics. Therefore, the study selected people who were genetically healthy or who had good health habits. Although the study did not really prove that nuts prolong life, nuts do have many benefits, so go nuts. Posted in General Science, Health and tagged health effects, nuts on November 21, 2013 by wryheat2. Wryheat: 5. 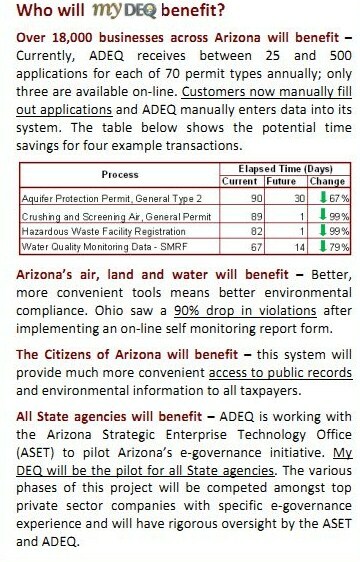 Does ADEQ regard itself, in its role of protecting the environment, a partner of business or a strict watchdog, or both? How is that reconciled? Posted in Geology, Health, Politics and tagged ADEQ, environment, mining, NEPA, permitting on June 5, 2013 by wryheat2. Genetically modified crops (GMs or GMOs for genetically modified organisms) have existed for thousands of years, but now that we know how to splice genes in the laboratory, there is concern over food safety. Much of that concern is unwarranted. Nevertheless, there are campaigns to require product labeling when some foodstuffs contain GMOs. 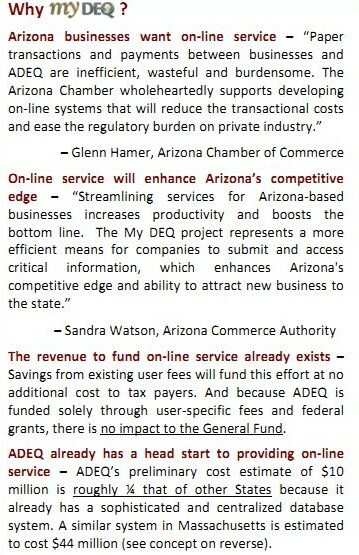 (See a story about such a campaign in Tucson here.) The food industry is generally against that requirement for two reasons: 1) it implies that the produce is somehow inferior to non-modified foods, and 2) costs; it could require companies to have separate processing lines for GMO and non-GMO foods. “First, he and his colleagues laboriously crossbred thousands of wheat varieties from around the world to produce some new ones with resistance to rust, a destructive plant pest; this raised yields 20% to 40%. “Second, he crafted so-called dwarf wheat varieties, which were smaller than the old shoulder-high varieties that bent in the wind and touched the ground (thereby becoming unharvestable); the new waist or knee-high dwarfs stayed erect and held up huge loads of grain. The yields were boosted even further. As a result, Mexico became an exporter of wheat and India and Pakistan doubled their production. Borlaug’s work also led to the development of high-yield rice, including vitamin-A-rich “golden rice” in Asia. Advances in molecular biology allow gene splicing to produce GMOs faster than the older method of selective breeding. Is this unnatural? I suppose that strictly speaking it is, but it just continues a process that we have been using for thousands of years. Modern gene splicing makes it easier to create crops with desirable characteristics and also easier to make sure undesirable traits are prevented or eliminated. One oft cited concern is allergic reaction to food. Gene modification involves substituting or adding a protein, and almost any protein can be an allergen. If you do an internet search of “GMO” and “allergies” you will find thousands of sites expressing concern but almost none providing any clinical evidence of GMO-caused allergies. When American-grown Starlink corn was first introduced into the UK, many people claimed asthma symptoms worsened. The CDC investigated but could not find a link. GMO soybeans have also been accused of causing allergies. A Korean clinical study found no difference in reactions to GMO and non-GMO soybeans. Ironically, I saw that there are some attempts to reduce food allergies, such as to peanuts, through genetic modification. By law, if a new protein trait has been added, the protein must be shown to be neither toxic nor allergenic. As far as I can tell, there are no significant health safety issues associated with GMO foods. Calls for labeling such as the one reportedrecently in the Arizona Daily Star seem to be based on ignorance and fear rather than evidence. If, however, there is some real proof that certain GMO foods cause adverse effects (like peanuts allergies), then such products should be labeled. We have been using GMO foods for a long time and, so far, no such danger has been identified. For more information see an article by molecular biologist Michael Eisen “How Bt Corn And Roundup Ready Soy Work – And Why They Should Not Scare You.” He writes: “Approximately 90% of soybeans, maize, cotton and sugar beets grown in the US are have been genetically modified to produce a protein that kills common insect pests or to make them highly tolerant of an herbicide used to control weeds, or in some cases both. To make a rational judgment about whether these specific GMOs are good or bad, it’s important to understand exactly what they are and how they work.” He also notes that use of GMOs has greatly reduced the need for pesticides. See the rest of his article here. Please take note: This post is about food safety and does not address the separate issue of possible cross-pollination from GMO crops, an issue of great economic concern to organic farmers. However, I will mention that there are methods to minimize or prevent cross-pollination as discussed by the University of Minnesota here and the University of Arizona here. Organic farmers can also use GMO-resistant strains. For instance, a new lineage of organic corn hybrids, known as PuraMaize®, seek to end the battle of GMO corn contamination. Using a natural gene blocking system, these organic hybrids are able to prevent fertilization of foreign GMO and colored corn varieties.